As of Tuesday, the people of Flint, Mich., have been without clean water for 1,475 days. Gov. Rick Snyder ended free bottled-water distribution in the city on April 6, citing test results that showed the city’s water supply tested below the federal action level for lead—but environmental experts in the state had warned that the city’s water system had “significant deficiencies” weeks before he took that action. The Associated Press reports that the Michigan Department of Environmental Quality on March 21 sent a letter to Flint Mayor Karen Weaver in which a surface-water engineer detailed 10 unresolved issues with the city’s water system. The DEQ warned that it has no confidence that Flint has the capacity to manage the system as its treatment plant is not adequately staffed—among other reasons. Brown noted the water system’s funding and questioned whether the city could adopt a rate structure that would support operations. This, of course, is on top of warnings already issued by the U.S. Environmental Protection Agency. The EPA has said that the mass replacement of lead and galvanized service lines throughout the city could also lead to lead getting into the water supply again. 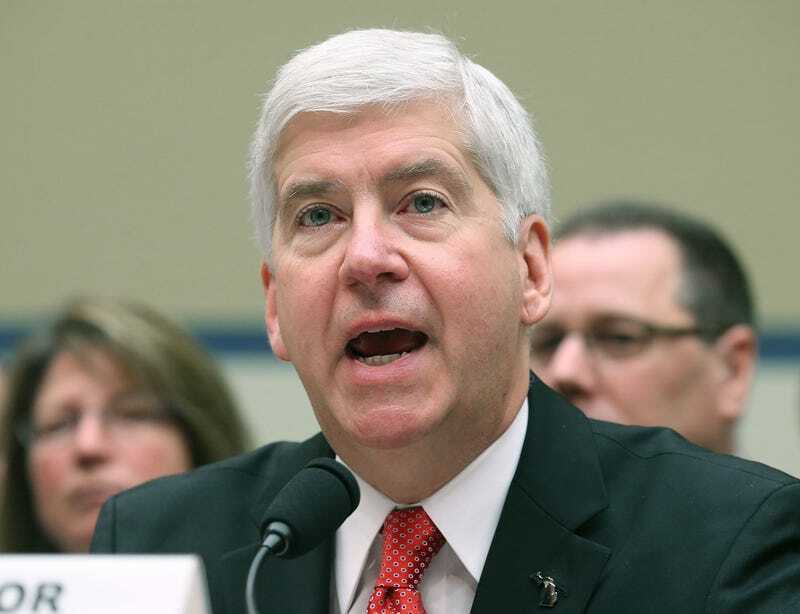 Even with all these warnings, Snyder ended the free water distribution program anyway. So, four years later, the people of Flint are still suffering as the bureaucratic red tape surrounding them falls apart.